One of my favourite spaces to decorate are kids rooms. 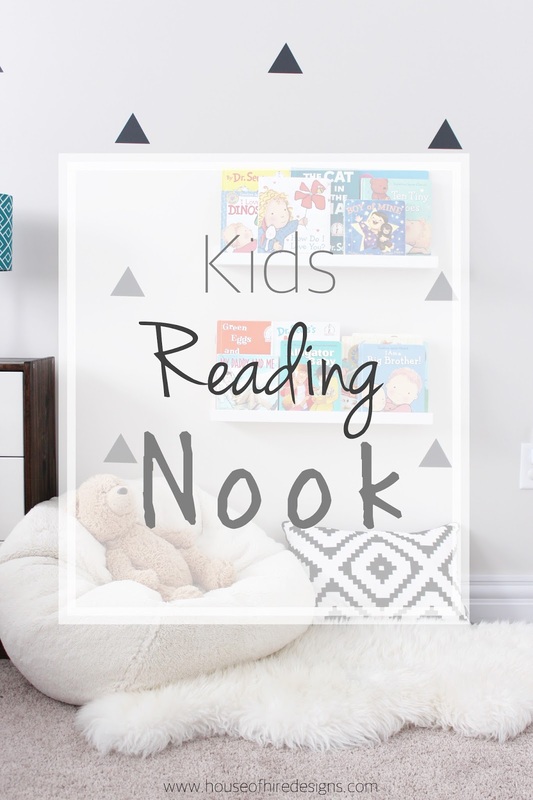 I have been having so much fun decorating my boys bedrooms and I thought I would share the little reading nooks I created in each of their rooms. 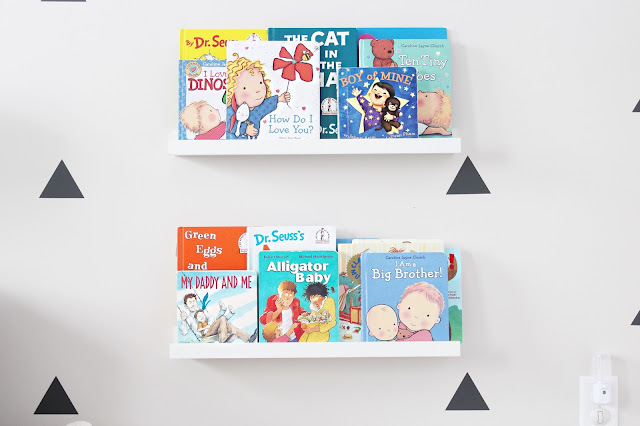 We have sooo many books between the two boys so I wanted to put up some ledges that would showcase their favourites (since I would need a whole wall of ledges to actually display all their books). This way there is always some out on display to encourage reading and we can keep swapping out books with other ones we have to keep them interested. These ledges are the Ikea Ribba ledge and they are perfect. They come in two sizes (this is the smaller size) and are so customizable. I put two in each of the their rooms and they have really been enjoying them. My 3 year old loves having them on the wall and I have even caught him sneaking books from baby brothers ledges and putting them on his own. It's fine for now but once baby bro gets bigger I don't think that will fly haha. I can not waittttt until Ikea opens up here next year but I hate that we have to wait that long, I want it now. If you are unable to get the ledges from Ikea they are also super simple to make. 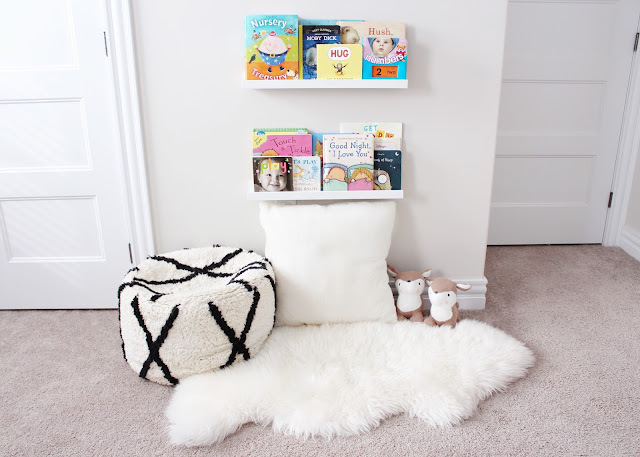 I made some in my sons room at our old house from this tutorial by Ana White and the benefit to doing it yourself is that you can customize the size you want or need for your space. I hope you all had a great weekend, and have a happy Monday! Good post Lauren and very good tips for help generation of the new World. I am sure these tips will help them.